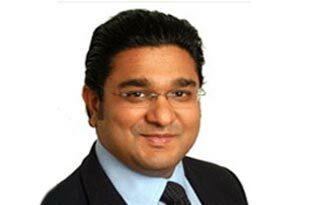 Angad Paul, son of NRI industrialist Lord Swraj Paul, has died after falling from his penthouse home in central London. Forty-five-year-old Angad, CEO of Caparo group founded by his father, suffered massive injuries after falling eight storeys yesterday. He was pronounced dead by paramedics who rushed to the scene. The London police said that it was inquiring into the circumstances of the incident but Angad's death was being treated as non-suspicious at this stage. His tragic death comes in the backdrop of a crisis facing the Caparo industries which has been hit by a collapse in steel prices, forcing 16 of its companies to be put into administration, a process that is an alternative to liquidation. Angad married media lawyer Michelle Bonn 10 years ago. The Caparo group encompasses 40 companies employing 10,000 people worldwide including India and has a turnover of over one billion pounds a year. Its interests include manufacture of car components and steel pipes, hotels and hospitality. Several other projects include manufacture of superfast cars, films and design. Angad was executive producer of a hit movie 'Lock, Stock and Two Smoking Barrels'.